If you're looking for a good HTPC software that has a powerful extender for all media playback, SageTV isn't the only kid on the block. GB-PVR is making strides in the extender category with a custom GB-PVR client made for the Network Media Tank's PopcornHour media players. 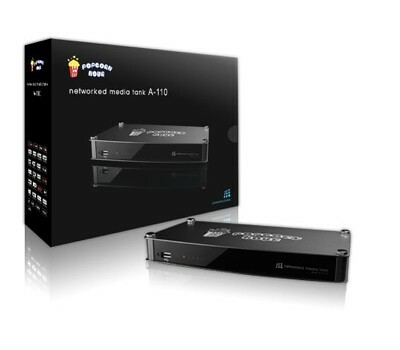 As many of you may already know, some developers for GB-PVR created a project to use the popular media player PopcornHour (PCH) device by Networked Media Tank as an extender with GB-PVR. This project is an extension of the same project they used to modify the Hauppauge MediaMVP's as extender in GB-PVR. They announced this month that the project was adding some new features to improve the extender performance and usefulness that will make many GB-PVR users very happy. Video File Remote Navigation - You will be able to use GB-PVR style navigation in recorded programs, in-progress recordings and LiveTV. Fast forwarding, rewinding and skip forward/back all will work. Support for .ts, .tp, .mpg, and .mpeg files. Movement in a file is now primarily controlled by GB-PVR, so if you jump randomly you can typically blame sub or me, and not the PCH. The vast majority of problem files for the NMT that I have gathered play properly too, including some I stated were "junk" on the NMT forums. The standard GB-PVR on screen display (OSD) is now available while playing videos. This include the guide, mini-guide, program details, and timeline bar. I find that LiveTV is now much smoother on the PCH than on the MVP. There are 2 second channel changes, the OSD doesn't have to run with the minimal OSD option, and some of the things that have caused me problems in the past (ie jumping to liveTV from the EPG while playing from the Video Library) just work like they are supposed to. There is resume from the Recording menu popups and also an OSD resume from Video Library. No PCH limits like the last 10 files played or that the device must stay powered on. Full background mp3 play as released in the last trial. With all of above, access to the PCH player for all non-mpeg files, including mkv, dvd, avi files, continue to be available directly from the GB-PVR menu. I hope to be be ready to release for public beta soon, maybe this weekend. For those of you who said you'd try component video this is a good time to get ready. For this version 1080i settings are preferred over 720p. If you have an SD TV, it took about a year, but now the MVP is 100% obsolete. There still is some work to do especially on h264 1080i video and very high bitrate mpeg files in general but it is running pretty well.